Jan 26 @midnight — Comedian. Actress. Babe. 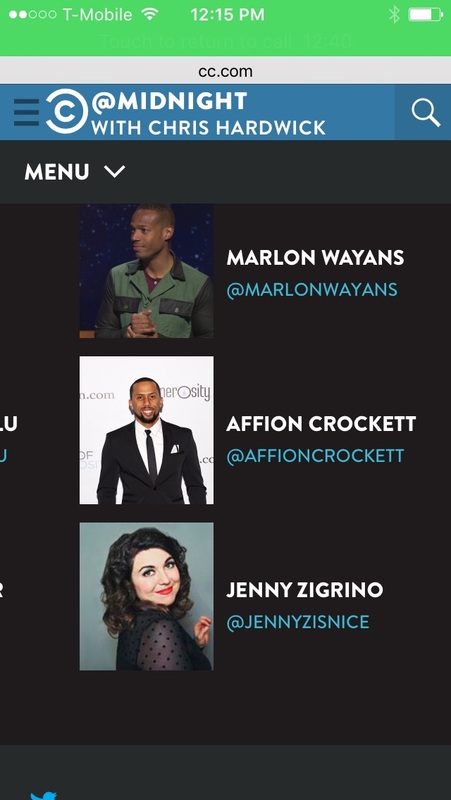 I have been waiting a very long time to be able to say that start on January 26 you can see me perform on one of my favourite shows, @midnight. Well, that feels amazing to say. As a comedian, you have a lot of milestones and this is definitely one of them. After that, I'm off to my very first movie premiere of Fifty Shades of Black. When it rains it pours.